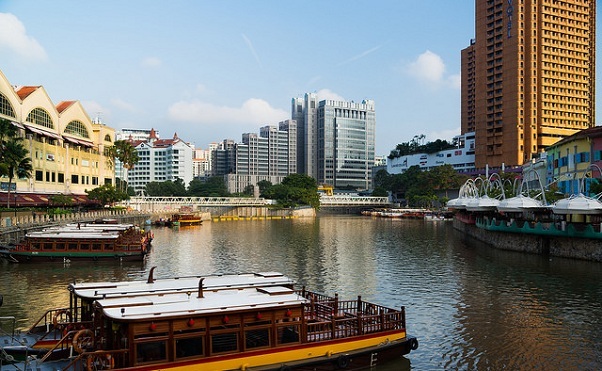 Singapore is an island city that showcases both man-made and natural marvel of scenic beauty. Known to be a garden city in the world, Singapore is at the verge of becoming a city in the garden. Be it the marvelous display of water and lights at the Sentosa beach or the infinity pool at the 57th level giving you an experience of swimming at the top of the world every experience in Singapore is at its level best making Singapore honeymoon destination. 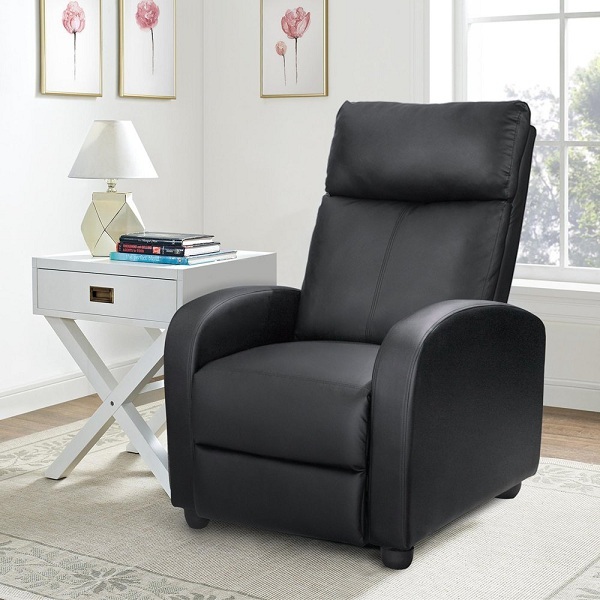 Located in Southeast Asia and connected with all the major countries of the world getting there cannot be any simpler. Being situated near the equator Singapore experiences a tropical climate and gets abundant rainfall. So the best time to visit is avoiding the rains which is precisely between November and July. The crime rate at Singapore is very low making it extremely safe for tourists. 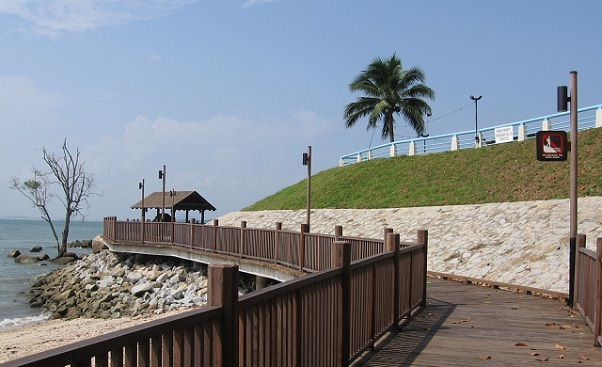 Changi Point allows a stunning view of the sea, offshore kalongs and boats. Forget about everything and get completely blown away by the trees, the beautiful hill tops and the dense greenery while spending time with your loved one. A night’s stay there and you live like royalty. 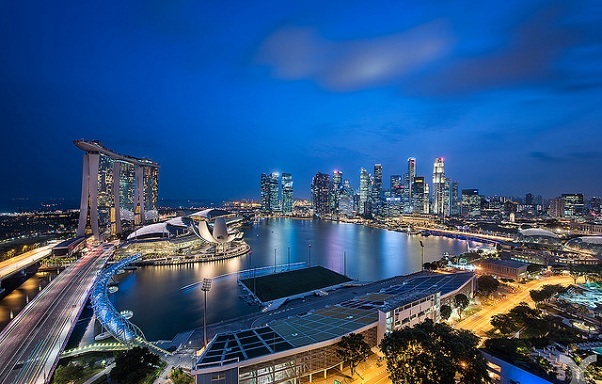 Apart from its unrivalled view of the Singapore skyline and Marina Bay, it has a huge collection of modern art by world famous artists like Dale Chihuly, Andy Warhol and Frank Stella. You cannot miss the breathtaking scenery and have a dip in the ‘Second Honeymoon Dip’ near the Ritz bath butler. Luxury and service at its best! If you are wondering where to Stay in Singapore for Honeymoon so as to get spoilt in luxury then this is the place to be. 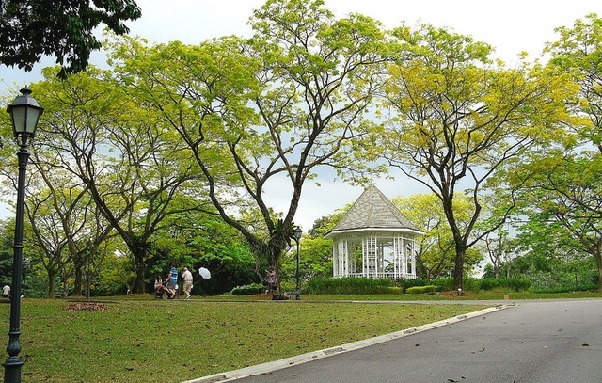 Bukit Batok Town Park is a major attraction in Singapore. It is one of the best honeymoon spots for couples. Popular for its beautiful landscapes, every couple should get a photo taken by the trained photographers there. 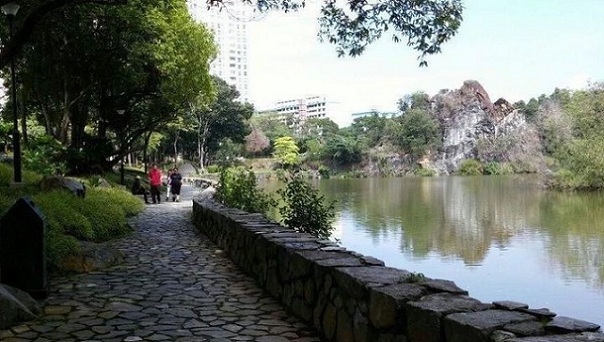 A romantic stroll through the scenic park beside the tranquil lake known as Xiao Guilin by the locals, will be a walk to remember for life! 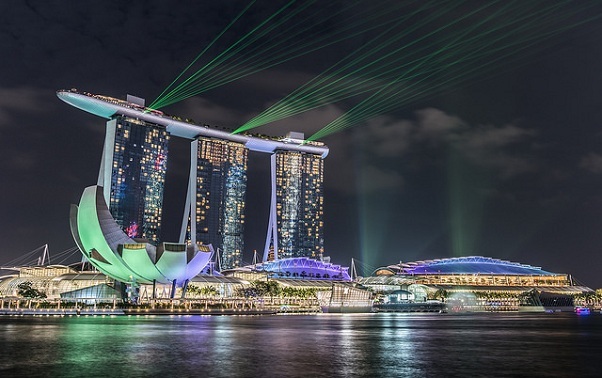 A honeymoon in Singapore is futile without a drift along the Clarke Quay to view the amazing Marina Bay Sands, The Merlion, and other famous landmarks. Couples can also spend a romantic evening with each other on the beautiful river while enjoying the light show there. It is one of the best honeymoon destinations in Singapore one should not miss upon. 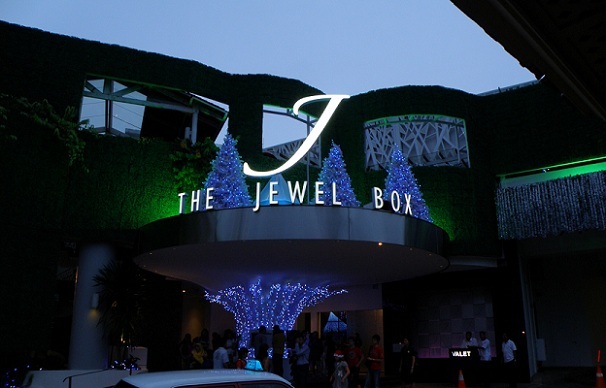 A date at the Jewel box is one of the must dos while in Singapore with your sweetheart. Reserve the Jewel Box in advance for a romantic dinner while shuttling over the city, taking in the breathtaking view that the city provides. Romance midair is something you won’t experience every day; so grab this opportunity to make the day special for the both of you. Marina Bay Sands is one of the best honeymoon destinations in Singapore. A stroll on the sands while enjoying the light show, a marvelous set up of water jets, lasers and fire geysers, everything is amazing. Have a champagne at the KUDE TA Club with the 360 degree view of Singapore atop the Marina Bay Sands. The evening cannot get more romantic than this! 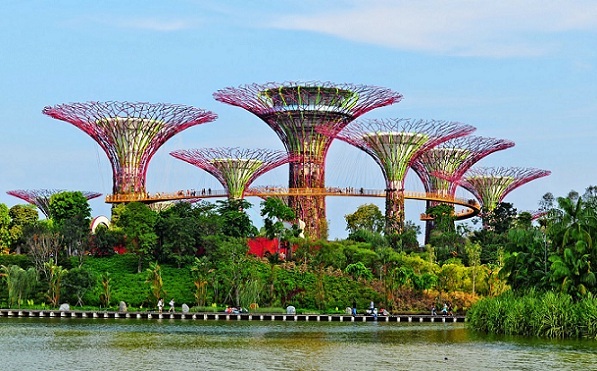 These are state of the art man made gardens and rank highly among the honeymoon spots in Singapore. It is a perfect blend of natural and artificial, with native and exotic plants along with the water-conserving Super trees and man-made mountain biome. This is certainly the future of romance! 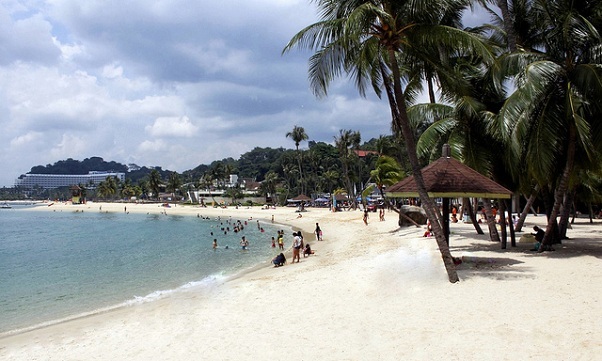 Sentosa Island is one of the top visiting places for the honeymoon couples in Singapore. Known for its beautiful and large beaches and adventure sea sports, you can enjoy a romantic morning on the beautiful white sandy beach with your better half.. A walk to the famous butterfly park and the Insect Kingdom or volleyball at the beach, followed by a couple session at the Spa Botanica will be the perfect day on the honeymoon. The verdant greenery and the rain forests make this one of the best natural honeymoon destinations in Singapore. Make your way through an ensemble collection of more than 2000 orchids and visit the National Orchid Garden. Then have mouthwatering delicious food at the Corner house restaurant. A perfect day to spend with nature and food! This is just a small glimpse of what Singapore offers. You have to pay a visit to experience the romantic air in the atmosphere of the beautiful city called Singapore!! Did you enjoy exploring the various places to visit in Singapore for honeymoon? Share with us your experience and which one is your favorite destinations amongst all. There is a lot beyond what Singapore has in store especially for the honeymoon couple and one needs to pay a visit to experience its grandeur. 1. What are the best places to visit in Singapore for honeymoon couples? 2. Is Singapore an Expensive honeymoon destination? Ans: Singapore has been rated as the most expensive country for tourism. But with the type of development that it has made and the luxuries that it offers, it is definitely worth the spend. The best part is you get to have a numerous world class experiences in one single place without having to travel hours together hopping one place to other. 3. Is Singapore a good choice for honeymoon couples? Ans: Whether Singapore is an ideal choice or not for honeymoon purely depends upon what type of holiday you are looking for the honeymoon. If you are looking for some calm and serene place, secluded from the world then Singapore is not the ideal choice. But if you love the pomp and grandeur, love to relish on various cuisines and enjoy some of the finest experiences in the world then Singapore is the ideal choice for you.